We provide all other sorts of upholstery service other than the common Sofa or Furniture upholstery works. 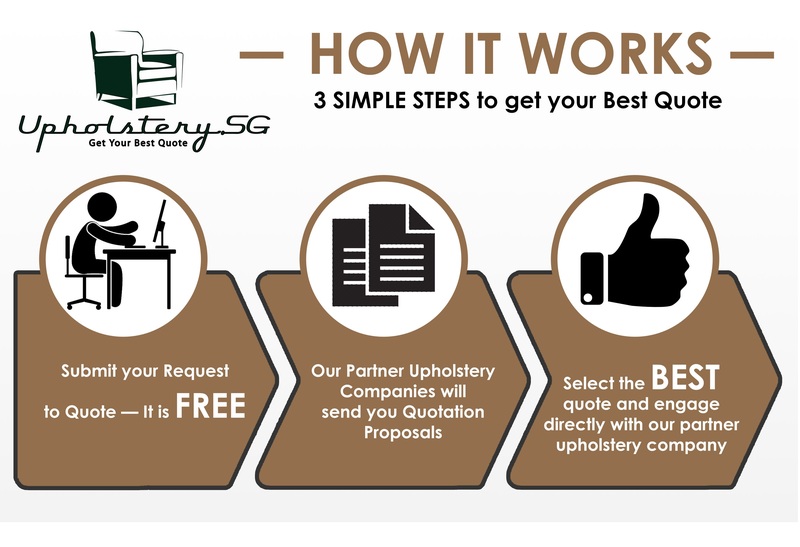 We are the leading upholstery intermediary company in Singapore and we can source and match the right Upholstery Experts to any of your upholstery work requirements. Contact us today if you are looking for Boat/Marine Upholstery, Bed Headboard Upholstery or Company/Office project work for Office Chairs reupholstery, Restaurant seats or any other upholstery requirements. We provide the BEST QUOTE.